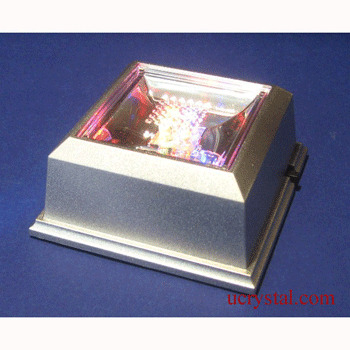 4" x 2-1/2" x 1-1/2"
This rectangle multi-color LED lights light stand offers a stylish, spectacular look and provide bright LED lighting for your personalized 2D 3D photo crystals, glass sculpture, crystal glass art or showpiece! 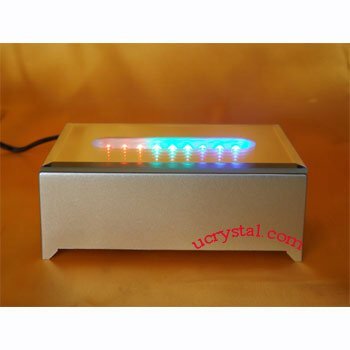 The multi-colored crystal light base shows rotating color with changing intensity and shine through the display base giving your 3D photo crystal, glass sculpture and crystal glass art contrast enhancement. 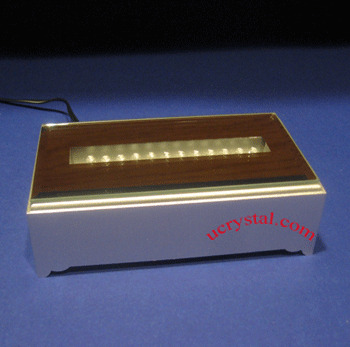 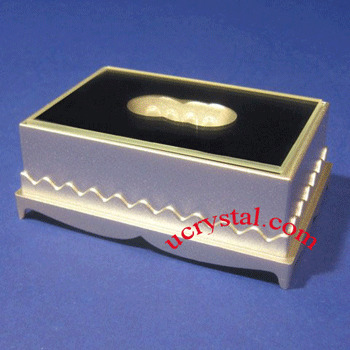 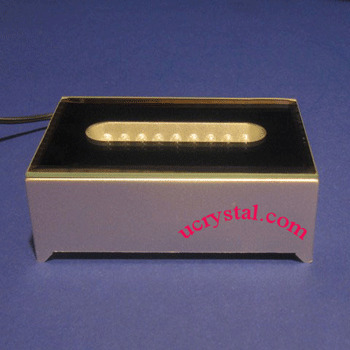 Ucrystal stalks a large selection of the LED light bases. 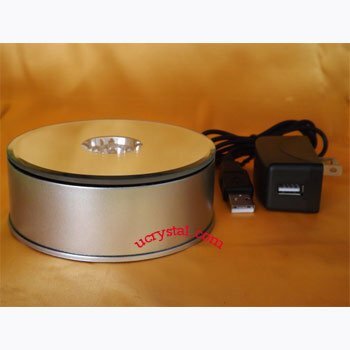 We have rectangle led light base, square led light base and rotary turntable led light base available for you to choose from. 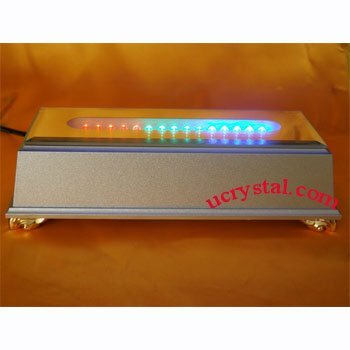 In order to safeguard our reputation, we only carry high-quality LED light base stands. 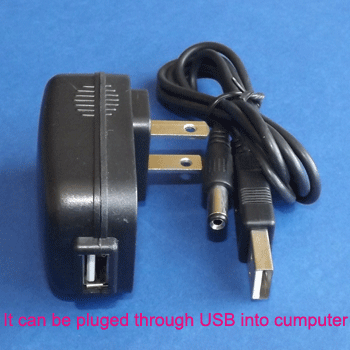 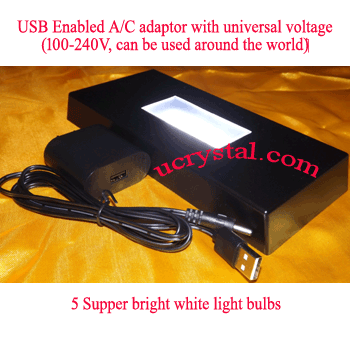 Our A/C adaptors with universal voltage (100-240V), can be used around the world. 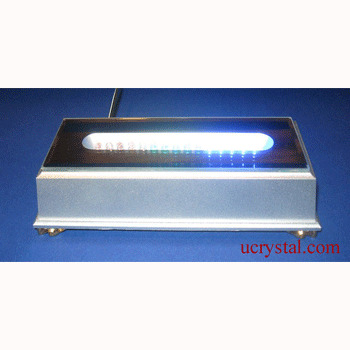 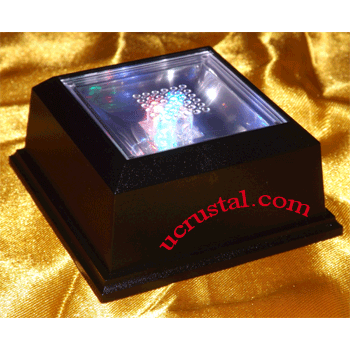 Light stands for crystals - 9 LED, multi-color, rectangular. 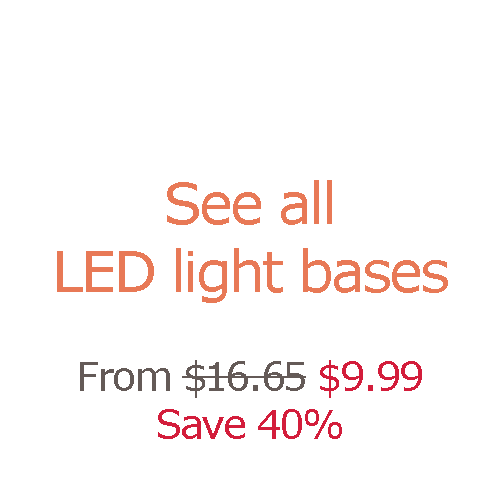 Alternating in red(3)-blue(3)-green(3) LED light bulbs.